While I was gone I received and email that I was featured at the EWINT blog. They are so proud to share with their followers that we are going nationwide with Uno Alla Volta. I have tremendous admiration and respect for the founder of EWINT Marga Fripp. She came to this country like many other immigrants with no English but a goal to succeed, help others and provide the best for her family. 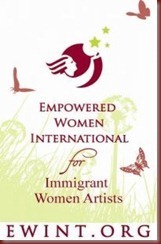 With small funds Marga Fripp created Empowered Women International. EWINT has been recognized as one of the Best Small Non-Profits in the DC area (Catalog of Philanthropy). and recently Marga has been nominated to receive the Living Legends of Alexandria recognition. 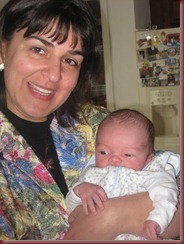 I met Marga during the winter of 2006, at One Woman Story Shop. Her then headquarters and the space she created for artists. There she featured, helped and show work of artisans from around the world. I remember she gave me so much information about where to sell my pieces, and started to talk to me about if I had a portfolio. Which I didn’t. As of now I have three different portfolios. Over the years I learned how important is for an artists to carry its own portfolio. Then Marga mentioned the Entrepreneur Training for Success Program which I did take and it helped me in many ways. I can still remember the play rolls time, those were based on how to present our work to different boutiques & galleries. A role that now has become so easy for me. But then I was scare of knocking on doors introducing my work. Building and having a professional looking portfolio gave me confidence to introduce myself to others, too. The Entrepreneur Training for Success Program helps you in many different ways. If you are serious about your art work and want to take it to the next level. If you want to see there are other immigrants just like you trying to get into the business world and learning about marketing your art, selling your art, etc., etc. This program is for YOU! This program helped me take off my career. And it is so amazing to know that I truly have a family of supporters. Even though we don’t get to see us as often as we want whenever we DO see us I feel like a daughter coming back to the EWINT town. When I graduated from the Training for Success Program, I remember I was in tears. I wasn’t used to speaking in public and I had my husband there supporting me. Although I missed my whole family I wished they could have been there. Instead my new EWINT family supported me and applauded my work. And now speaking in public has become my favorite cup of tea. Specially if I can motivate others through my personal story and work. 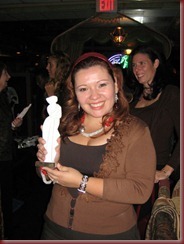 That same year during the 2007 EWINT Christmas celebration I was called to received the 2007 Outstanding Artist Achievement Award. I was soooo surprised! I never thought that I could get an award in my new country and that my work could be recognized. All I did since I launched Evelyn Brooks Designs is work hard to bring more and more innovative designs inspired in my Peruvian Heritage with modern designs. We have been blessed that the work of Evelyn Brooks Designs has been featured and recognized nationwide and internationally.